"Neppa" is a track from Satoko Fujii's album "Kikoeru," out December 14, 2018 via Libra Records. "Kikoeru," Satoko Fujii's Orchestra Tokyo's sixth release in just over two decades, is their most diverse and rollicking album ever. 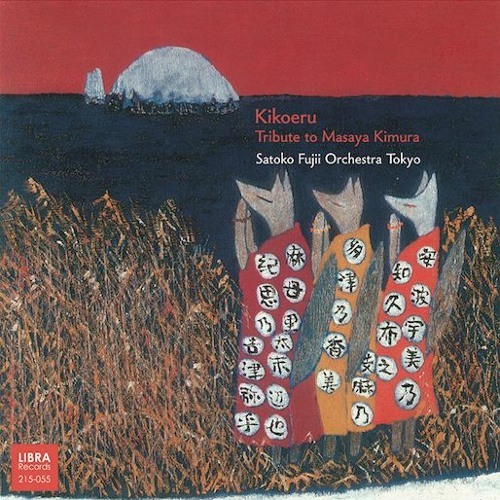 The album brings to life four compositions by Fujii and two by trumpeter Natsuki Tamura. The album features composer/pianist Fujii, soprano and alto saxophonist Sachi Hayasaka, alto saxophonist Kunihiro Izumi, tenor saxophonists Kenichi Matsumoto and Daisuke Fujiwara, baritone saxophonist Ryuichi Yoshida, trumpet players Natsuki Tamura, Yoshihito Fukumoto, Takao Watanabe, and Yusaku Shirotani, trombone players Haguregumo Nagamatsu, Yasuyuki Takahashi, and Toshihiro Koike, bassist Toshiki Nagata, and drummer Akira Horikoshi. This is the last of her CD-a-month marathon celebrating her kanreki -- 60th birthday.